"Return Predictability and Shareholders' Real Options," Lee-Seok Hwang and Byungcherl Sohn, Review of Accounting Studies, 2010, vol. 15, no. 2, 367-402. 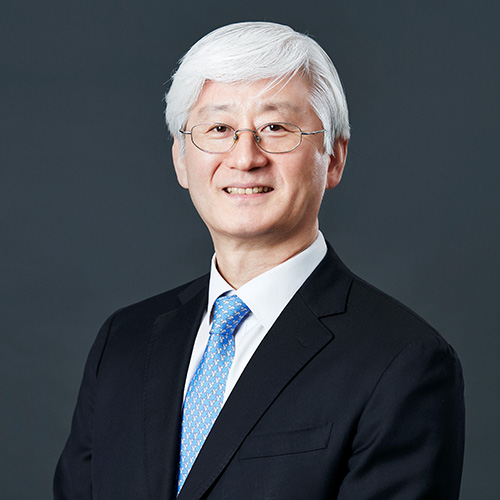 "The Relation Between Changes in CEO compensation and Firm Performance: A Japanese/American Comparison," Toshiaki Mitsudome, Joseph Weintrop and Lee-Seok Hwang, Journal of the Japanese and International Economics, 2008, vol. 22, no. 4, 605-619. "Corporate Governance, Top Executive Compensation, and Firm Performance in Japan," Sudipta Basu, Lee-Seok Hwang, Toshi Mitsudome, and Joseph Weintrop, Pacific-Basin Finance Journal, 2007 (January) vol. 15, 56-79. "CEO Compensation after Deregulation: The Case of Electric Utilities," Stephen Bryan, Lee-Seok Hwang and Steven Lilien, Journal of Business, 2005 (September), 1709-1752. "Determinants of Cross-border Listing of American Depository Receipts (ADRs) on Regulated and Less Regulated U.S. Stock Markets," Gordian Ndubizu and Lee-Seok Hwang, Advances in Investment Analysis and Portfolio Management, 2005, vol. 1, 247-266. "Ultimate Ownership, Income Management, and Legal and Extra-Legal Institutions," In-Mu Haw, Bingbing Hu, Lee-Seok Hwang, and Woody Wu, Journal of Accounting Research, 2004 (May), 423-462. “The Value Relevance of Foreign Income: an Australian, Canadian, and British Comparison,” Gordon Bodnar, Lee-Seok Hwang, and Joseph Weintrop, Journal of International Financial Management & Accounting, 2003 (October), 171-193. "Arbitrage Risk and the Book-to-Market Anomaly," Ashiq Ali, Lee-Seok Hwang, and Mark A. Trombley, Journal of Financial Economics, 2003 (August), 355-373. "Residual-Income-Based Valuation Predicts Future Stock Returns: Evidence on Mispricing vs. Risk Explanations," Ashiq Ali, Lee-Seok Hwang, and Mark A. Trombley, The Accounting Review, 2003 (Spring), 377-396. "The Use of Individualized Problems to Improve Students' Learning," Harry Z. Davis, Lee-Seok Hwang, and Victory Shoaf, Journal of Accounting Education 19, 2001, 189-210. "Assessment of Analysts' Target Prices," Stephen Bryan, Lee-Seok Hwang, and Steven Lilien, The CPA Journal, 2001 (July), 47-52. "CEO Stock-Based Compensation: An Empirical Analysis of Incentive-Intensity, Relative Mix, and Economic Determinants," Stephen Bryan, Lee-Seok Hwang, and Steven Lilien, Journal of Business, 2000 (October), 661-693. "Accruals and Future Stock Returns: Tests of the Naive Investor Hypothesis," Ashiq Ali, Lee-Seok Hwang, and Mark Trombley, Journal of Accounting, Auditing, and Finance, 2000 (Spring), 161-181. "Country Specific Factors Related to Financial Reporting and the Value Relevance of Accounting Data," Ashiq Ali and Lee-Seok Hwang, Journal of Accounting Research, 2000 (April), 1-21. "International Variation in Accounting Measurement Rules and Analysts' Earnings Forecast Errors," Sudipta Basu, Lee-Seok Hwang, and Ching-Lih Jan, Journal of Business, Finance, and Accounting, 1998 (November/December), 1207-1247. "Does the Ownership Structure of Debt and Equity Affect the Agency Costs of Debt? Japanese Evidence," Lee-Seok Hwang and Yong Kim, Journal of Accounting, Auditing, and Finance, 1998 (Winter), 37-66. "A Microsoft Excel Template to Estimate Stock Option Fair Value under FASB 123," Hugo Nurnberg and Lee-Seok Hwang, Journal of Corporate Accounting and Finance, 1998 (Autumn), 99-106. "CEO Compensation in a Regulatory Environment: An Analysis of The Electric Utility Industry," Stephen Bryan and Lee-Seok Hwang, Journal of Accounting, Auditing, and Finance, 1997 (Summer), 223-251. "Loss Firms and Analysts' Forecast Errors," Lee-Seok Hwang, Ching-Lih Jan, and Sudipta Basu, Journal of Financial Statement Analysis, 1996 (Winter), 18-30. "CEO Compensation and Control in Japanese Firms," Lee-Seok Hwang, Helen Snider, and Allan Bird, Emerging Markets in Asia, (edited by Kim, Liaw, and Chen), Center of Asian Studies, St. John's University, New York, 1995, 273-302. "Conditional Conservatism, Listing Status, and Auditor Quality," Lee-Seok Hwang, Woo-Jong Lee, Hye-Jeong Nam, and Kyung-Ho Park, Korean Accounting Review (회계학연구), 2008년6월, vol. 33, no. 2, 145-183. "국민연금기금의 주식시장왜곡에 관한 연구," 고봉찬, 이병희, 이우종, 황이석, 증권학회지, 2008년6월, vol. 37, no. 465-500. "Korean Evidence on the Implied Cost of Equity," Lee-Seok Hwang, Woo-Jong Lee, and Seung-Yeon Lim, Korean Accounting Review (회계학연구), 2008년 3월, vol. 33, no. 1, 97-125. "회계전문인력 양성을 위한 우리나라 회계교육 강화 방안," 주인기, 송인만, 권수영, 황이석, 심태섭, 회계저널, 한국회계학회, 2008년 3월, vol. 17, no. 1, 27-59. "The Implied Cost of Equity Capital and Corporate Governance Practices," Hae-Young Byun, Lee-Seok Hwang, and Su-Keun Kwak, Asia-Pacific Journal of Financial Studies (증권학회지), 2008년 2월, Vol. 37, no. 1, 139-184. "Stock Price Synchronicity and Corporate Governance Practices," Hae-Young Byun and Lee-Seok Hwang, Korean Management Review (경영학연구), 2007, vol. 36, no. 4, 939-979. "Digital e-Accounting: 삼성전자 회계프로세스의 혁신," 이창우, 정운오, 최외홍, 황이석, 회계저널, 한국회계학회, 2006년9월, 85-108. "국제교육기준에 따른 우리나라 회계교육과 공인회계사 선발 및 교육제도개선방안," 주인기, 권수영, 황이석, 심태섭, 회계저널, 한국회계학회, 2006년9월, 135-164. "기업지배구조와 주주부의 배분에 관한 연구," 박광우, 박래수, 황이석, 증권학회지, 한국증권학회, 2005, vol. 34, 149-188. "Investor Sophistication, Arbitrage Risk, and the Mispricing of Accruals in Korean Listed Firms," Lee-Seok Hwang, Moon Hyun Kym, Woo-Jong Lee, and ByungCherl Sohn, Korean Accounting Review (회계학연구), 2005 (Supplement), 59-91. "Changes in Value Relevance, Timeliness, and Transparency of Reported Accounting Information: An Analysis of Korean Listed Firms," Lee-Seok Hwang, Moon Hyun Kym, ByungCherl Sohn, and Woo-Jong Lee, The Institute of Management Research (경영연구소), Seoul National University, June 2007.